I still make cards but I do believe that it is going out of fashion. I am also one of the few that still does scrapbooking and that has definitely gone out of style. Funny though, I also watch more of your painting videos than anything, I’m working up my nerve to try it. Interesting. This could be why all of the stamp companys are always having a sale. Could be no one sends cards any more …they text. I make a lot of cards and send about 5-10 a month and would love to find a place to sell. but the one place that was excited to sell hasn’t . She says everyone ooh’s and ahhh’s but they don’t buy.??? I am thankful for a couple of really good customers but as good as they are they don’t cover the cost of “art supplies”. I just sold a bunch at a craft fair this weekend, I think it helps to sell when the creator is there in the booth. I’ve also done well in shops that sell gift items as grabbing a card to go with the gift is natural. It’s tough, all of my cards are ones I made for a video or I made trying to develop a technique to teach in a video (and I make a lot in this manor) so I sell them reasonably in shops or craft fairs so I am not shipping (unless a viewer askes and I mail it in a padded envelope and charge an extra $1 or I mail int in a normal envelope and it is 50 cents to ship. I charge between $3-$5 for stamped and $7 for watercolor greeting cards. I am not getting rich but they were made for videos or they were extras I made while I had supplies out for personal gifting so I didn’t invest specific time in them. For my local area that is what the market will pay. People typically get 2/$1 cards at the dollar tree I think for most occasions. It’s hard to compete price wise with that. I, for one, watch for your card making videos more than the painting-I will eventually get back to painting, but for now I am totally enamored with learning card making techniques, which is new to me this year. I keep my “liked” ones indefinitely to go back to. You make it all look so easy! Lol! 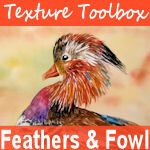 I don’t paint and totally love your card making, as I’m a cardmaker and scrapbooking nut! I love your card videos best. I make 40 cards a week. Just finished making 500 to be used as gift bags at a party. wow, 40 a week, outstanding! I LOVE to make cards and send them out sometime. Now, the most I make are Christmas cards. I actually just got thru making a dozen homemade cards! I give cards as gifts, especially to my mom who loves to send cards! I love everything you do, so keep up the good work! You inspire me to try things I’ve never done before! I definitely make cards and know several cardmakers. Maybe it’s just that the younger generation doesn’t send cards – they text (as someone pointed out above). Doesn’t everyone love to get something in the mail besides junk? (We don’t even get bills in the mail any longer! We need to start a movement to get people to send more happy mail! It will keep our craft alive, keep the US Post Office in business, and bring smiles to people’s faces. Card-making is definitely on the decline due to the Internet and social media (same for letter writting)! There are still people (like me) who have been making their own cards for years and will continue to do so. In my opinion, a hand-made card tells the recipient that you really care about them and gave a thoughtful and personal touch to their card. I just finished watching one of your card-making videos (watercolor hollyhocks) from 2014. loved it and can’t wait to try it on a card for one of my daughters. Thank you so much for sharing your knowledge and talent. If not for your videos, I would have given up on painting with watercolors. I love to watch your card making videos. Please don’t stop making them. I do still make cards and want to incorporate more watercolor into them. I just ordered the hot press watercolor paper you mentioned in your video. Card making is still very popular – even more so, I think! I make and send a lot of cards myself and so do my online friends. 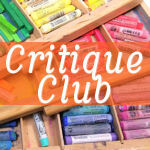 Check out Jennifer McGuire’s channel – all she makes is cards. She is basically the trend setter in card making these days. It seems that any product she promotes is a sell-out and any technique she does becomes very popular. I never watch your painting videos because I am a card maker; always will be! Right now, I especially love the ones where you use peg stamps. They are new to me and look interesting. I love making cards, and run a little crafting club which gives me an excuse to do more of it. But I am one of the youngest in the group, and I’m a pensioner. And us ‘oldies’ far outnumber the younger generation at the craft shows I go to. I don’t know whether it’s just we have the time to craft and the younger ones will take it up when they reach our age, or whether it’s just not attractive any more. It would be such a shame if it died out: handmade cards are such a joy to give and receive, and the products and techniques available to make them have never been better. I got into cardmaking because I stumbled across a local shop which ran classes, but of course it, along with most other small shops, has closed. Maybe that’s why we’re not getting so many younger recruits. Keep up the card making videos, let the fight back begin! I will! It is too much fun and I have too many pretty stamps to justify not using them:) I also think switching gears from painting to stamping keeps my mind fresh. The cards I’ve made have all been watercolor. It takes a lot of supplies initially to do many of the beautiful cards you do. One of your great fans sent me a box full of card making supplies, so I probably will give it a try. Having said all of that, as to YouTube. I subscribe and am notified whenever you post a new video. Thanks for all of your work and love! thanks for letting me know Carol, I have had so many people saying they don’t see my videos so I was a bit worried. I think cardmaking is declining in popularity a little, but I do know new people just getting into the hobby too. I might watch a painting video, because I like to see the process, but I don’t paint! As for stamping companies, I think the market is somewhat saturated, many people have plenty of stamps already, and only will buy new ones that are more unique. that is true for me! I have so many binders of stamps but I don’t want to part with any more than I already have. 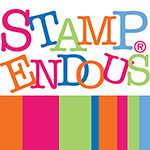 I just love adding to my collection adn finding that perfect stamp in my stash when I am making a card, especially if it is a older one I have yet to use, so fun! I just love making cards and mailing them off to family and friends! It seems like there are always new, independent stamp companies being introduced, so the online crafting community must be growing. You make such beautiful cards, but you also have beautiful, amazing stamps to work with. The few rubber stamps and the other kinds I have, were mostly aquired by being on a clearance sale or 50% off sale or with a % off coupon. I have several times looked at the peg stamp sets and also the stamp sets you designed, but that’s all I can do — is look. Hope you and yours are doing well, minus the squirrel damage. LOL. Take care and God bless. I still make cards although not a the rate I used to. I watch all of your posts, since I paint and do most every craft out there just like you. Hi Lindsay! I never made cards before but became more interested in making cards after finding your blog. I, too, love the peg stamps and I buy supplies based on your videos, including watercolor and acrylic painting. But I’m a scrapbooker first and I vend at retreat weekends. If anything, attendance at the retreats has increased in the last year or so. Many of the attendees make cards and there are quite a few “new” younger women crafters. I think Heidi hit it. Most of us are saturated with supplies so unless something is totally new and/or unique, people aren’t buying as they did in the past. I subscribe to your mantra “use what you have” and use the pretty paper you are saving! I guess others have too!!! Here in Australia the papercraft shows are much smaller than they used to be, but I’ve always thought, like you, that it was because of online shopping. BUT I run a very healthy cardmaking group where there are swaps going on every month. I also belong to Facebook cardmaking sites which are very busy with lots of cards uploaded and commented on every day. Hi Lindsay, I don’t think cardmaking is decreasing. I started about 18 months ago watching you and then began to join Facebook groups who make cards. I love everything you make and do. I started watching you use watercolors, and I love painting. I watch all your videos. I haven’t done much card crafting or painting lately, but plan to do both soon. I don’t know about anyone else, but I’ve made one thank you, one get well soon, four just because, and eight birthday cards. My stamps get plenty of use, and I’m still buying more, lol. Love your techniques. I am an avid cardmaker. Currently I am more into die cuts and sponging color onto them. I do some alcohol, pixie powder, sponging, ink pad smooching and watercolor backgrounds. Would like to do more painting for I adore watercoloring. So glad I found you per Scrapbook.com. Please keep up the great art. Card Making Is Very Popular … And Actually Increasing, By The Minute. 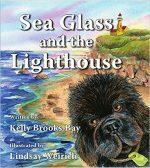 You just need to know ~~~ where & when to buy ! 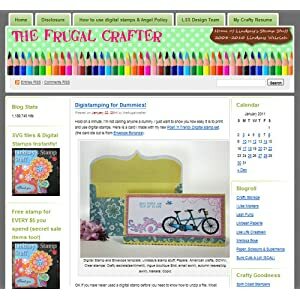 I myself … owning a craft room, ( that looks more like a store ) ~~~ purchase quite often, and have become very professional, through the many years of card making, that I will be starting my own blog, shortly, as I have found my own personal style to be a bit different, than others. I think that with the craft shows … Some People Walk Through Just To Get Ideas, then go home and try to make it, themselves … Other’s Buy, with no issue ! I have to be honest … A Lot Of Individuals Are Very Cheap and when it comes to spending money on anyone, other than themselves … they have issues ! These type of people would rather buy themselves a 12 Pack & Steak Dinner, before they would ever consider spending $ 10.00 on a handmade card, for even a Loved One ! Anyway, getting back to the question asked … Is Card Making Declining ? … Definitely, Not ~~~ It Has Become Huge !!! … In The UK and In The USA !!! … Perhaps, that is one of the reasons, also ~~~ why greeting cards don’t sell, as much, at craft fairs, as they used to … Too, many individuals have learned the hobby, for themselves and have stopped buying, premade items, at craft shows ! I’m sure, if you were to find out how much $$$ individuals were actually spending, on crafting tools for themselves … You Would Be Surprised !!! 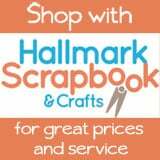 … And let’s not forget about The Hallmark Printing Studio Software ! Cheap individuals … gather there !!! Bottom Line ~~~ It Takes All Kinds ! That’s What Makes The World So Interesting ! Now, if I was to attend one of your craft shows … I would buy !!! … That’s Just The Way I Am ! Please, give me a “ heads up,” as to where & when your next show will be ! ADVERTISEMENT IS KEY !!! … I Would Have Been At Your Last Show, Should I Have Heard ! I Have Got To Buy … A Lindsay Original !!! … For Sure !!! yes we are and I watch all your card videos as well as the others. I download them to watch later so I don’t often go back and comment. Love the Rubber Stamp Tapestry ones and today taught a grandson how to use a set with deer. Great grandson actually. He did very well. I watch your card videos more than any other videos. I also watch your comparisons of different items, except the watercolor comparisons. I do not use watercolor paints. I do notice the lovely Peg stamp cards you make. I have so many ideas to use my stamps because of information from you. Please continue to make videos about cards, if you have time with all of your other responsibilities. I know it’s great to use stencils on the background, but I normally don’t do that. I value your input quite highly. I talk to other stampers about your professionalism and your thorough instructions. Thank you for being such a mentor to so many, many people. If you were to ADVERTISE a sale, on your front porch … You may, honestly ~~~ Do Much Better, ~~~ than you would, at a craft fair ! Would be a good idea to have an order book, on hand, if that should be the case, then people wouldn’t have traveled for nothing ! “ SOLD OUT “ They Would Be Happy … Just To Meet You ! … but … to have an order book, on hand, would be a great idea, for business. I am an avid card maker and usually give a dozen or more to friends as part of their birthday and Christmas presents. My friends are very grateful to receive them. However, some have told me they don’t want to send them because they don’t have friends who would appreciate the time and love that goes into making them. I am always excited to see another one of your cardmaking videos. Forgot to answer one of your questions, asked ! I SUBSCRIBED some time, ago … received notifications for a bit, then Nothing !!! … I, thought that maybe you had forgotten about me, but guess it was indeed YouTube ! I had to RESUBSCRIBE ! … I’m Sooooo Happy That I Dared To RESUBSCRIBE ! You’re Such A Blessing, Lindsay ! You’re So Sweet !!! … and I Thank You, For Everything !!! May your business be blessed, from above ! I enjoy making cards and am teaching a shaker card class this summer at my library. I do think that card making may be decreasing at the moment. I was looking forward to taking classes at the Stamp & Scrapbook Expo in Marlborough, MA this fall, but was disappointed in the decrease in the number of card making classes and that two of the vendors I had hoped to see are not coming. I hope that it’s just a temporary fluctuation in the craft as it’s one I really enjoy. Card making is art on a small scale. Also, everyone, even the most dedicated techie, enjoys receiving a bit of snail mail. I have been making cards since 1984 and still love making them. I have been painting watercolor flowers lately and am in love with them. I am making cards, working with paper is one of many crafts I love. I really enjoy your videos, cardmaking and otherwise, I can’t speak for others, but I haven’t had much time for many youtube video watching sessions lately, I am hoping to get a few more views in this week and relax in the heat! Attendance at my classes and camps is higher than ever! Everyone seems to absolutely love it! We are all always looking for inspiration and you have certainly provided a wealth of that and I thank you for it! I always wonder what people do with all the cards they make. There are only so many people with birthdays, weddings etc. Also I think it is a lot of effort and time for something someone is going to admire and throw out. some of the card tutorials are so complicated and time consuming. who has money to buy all those stamps, ink and other materials. That is why I think you are so wonderful, your cards are simpler and you emphasize to use what you have! I make cards every week. I watched all the “school” videos where you taught basics and different folds and such. I don’t watch the painting videos because I can’t do watercolor and am not really interested in making paintings. I do NOT sell my cards, it is my hobby, and so of course I have a couple hundred cards that are waiting for the occasion….and I send lots for most holidays as well as everyone’s birthday whose mailing address I have! Plus some to enclose with gifts. And Get Wells and I even started making Sympathy, and of course Thank you cards. I am old enough to still use the post office and stamps, haha. But I am less interested in card videos that are all about some new product that I don’t have and don’t want to buy, I have stopped buying because I have enough supplies and stamps to last me forever and then some. May have to buy some more glue or other adhesive products at some point, but that’s it. Firm believer in “use what you have”. I have gotten some good ideas in the past from your previous card making videos, thanks. I make cards for all occasions – about 10 a month – plus 25-80 cards for most of the holidays. I watch ALL of your card making videos (and keep my favorites in a “Craft” folder on my computer for inspiration). Plus I watch some painting videos, although I am sorely lacking in painting skills. Your videos are my FAVORITE of all the ones I watch. Lindsay, PLEASE, don’t stop making them. I’ve found about a dozen or more expert card-makers’ styles that I absolutely love, and found many small stamp companies through YouTube. I’ve recently subscribed to two stamp companies’ monthly boxes. I’d say the card making community is alive and thriving. I would love to see you on design teams of many of the small stamping companies I love, which would help you and them as a result of your wide audience. (Not sure if I’m permitted to name the cardmakers or stamp companies I specifically love?). Some folks like CAS (Clean and Simple), colored pencil, alcohol markers, watercolors, and a combination of all of the above. 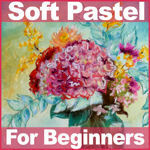 I recently signed up for a beginner colored pencil class, and a beginner watercolor class where we will learn how to color and shade stamped images. I’ve found Jane Davenport, and Topflight Stamps because of you and I’m a regular customer as she has relationships with global stamp companies. The videos I watch of yours are KonMari, organization, destashing, Audible books, and various crafts. Hope this is helpful? I didn’t make cards until I started watercolor painting. Now I make cards and people love receiving them. 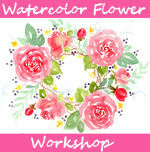 Especially hand painted watercolors without stamped images,(Just the sentiment stamped or only the inside). They feel special getting their own personal little painting! I love making creating cards and have been doing so for many years. I believe the decline in the making of greeting cards, and rubber stamping in general, is due to a younger generation hooked on media, and a general lack of interest in art (schools no longer teach this class in my area). I live in an area that no longer has a local rubber stamp/scrapbook store, whereby people could be drawn into classes and demos which sparks interest and creativity. You don’t get much inspiration from the big box craft stores. I teach origami classes and have found a greater interest among older individuals rather than younger people. I try, when possible, to incorporate some type of rubber stamping, water color, or chalking backgrounds to my origami greeting card classes. 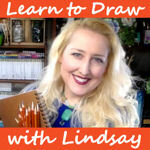 I truly enjoy your card making videos–they are fun, and I’ve learned so many useful things. Thank you for inspiring me to create even more. I love making cards and i have a small creative business where I make jewelry using copper and gemstones, small mixed media wall art and my most consistent and biggest seller are one of a kind art cards. I make 5 x 7 mixed media greeting cards with no sentiments – they are blank unless I get a special request. 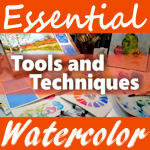 one of the elements that I use on my greeting cards are watercolor. I enjoy your inspirational ideas and how you use various mediums. I love card making and your stamp school videos are the best. People love to get hand made cards , but I think fewer people send cards they use more emails and texts more . I just love playing with color and new stamps. My friends and family are so used to getting homemade cards from me, they have come to expect that- the would not be happy with a dollar store card! I still make cards. Love to but I have also gotten into mixed media which still utilizes my stamping materials as well as other supplies. I don’t always follow directions and my cards never look like the example. I just don’t confirm to those rules. I enjoy the techniques. And they transfer to other mediums. I don’t make cards because I personally don’t need them (I make a couple around Christmas to send to my friends but that’s it) and there’s no market to sell them where I live. I enjoy watching your card making videos but yes, I follow you for the painting and drawing ones. I love makeup by cards. I am fairly new to it and stamping, but I watch your videos and have made several under your guidance. I always get compliments from those I make homemade cards for, and there are a million ways to explore your creativity. It takes a little time, but I find it so much fun. I have since obtained a Cricut Explore Air 2, but I still love using my Big Shot and a variety of die cuts. Don’t stop making these videos. I so appreciate it! You are awesome. I just started adding cards to my farmers market booth about 2 months ago. I sell at the booth each week, weather permitting. The cards sell faster than my paintings, prints and quillings….on some weekends. Those that like the cards are the very young pre-schoolers and the retired folks. Not so much with the millennials. I don’t use stamps to make my cards. I use photos of my work that I afix to the fron of a 4×6 or 5×7 card with envelopes. My retired customers buy in groups of three or four which I wrap with ribbon for them to give as gifts. They attach stamps and they are good to go. It’s fascinating to see what the youngsters pick, and interesting to hear their critique of the art work! I think the sale of cards just depends on the time of the month when money is more plentiful for some, and the emotional state of the buyer…at least in this community. I love making cards and I give out a lot of cards and also send cards. I think that since our postage costs have gone up (and service has gone down hill) the decline in a card being sent has drastically declined. But also I think the disappearing Brick And Mortar Shops have affected how many people craft. I loved being able to go into a store and seeing a product before purchase plus also the staff were a great knowledge base as well. I watch a lot of cardmaking YouTubers actually this is my main topic that I do watch. I don’t always get notifications but I sub to my favourite YouTubers so I look at my subscription list and see what people have been up to that way.